IT’S like tasting chocolate for the first time. 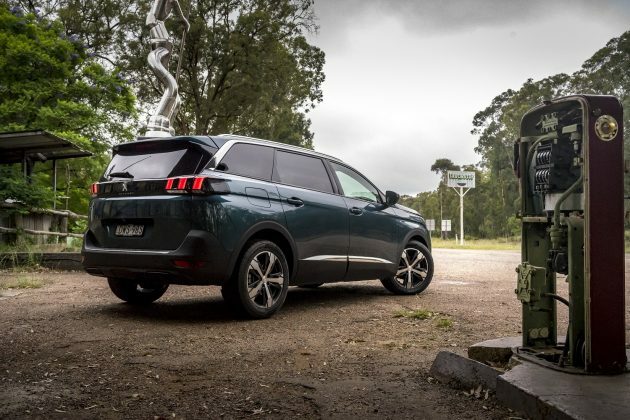 Your mind is blown by what you find when you open the door and climb inside the 2019 Peugeot 5008 Allure, because it looks like a smaller mid-size SUV on the outside, but is roomy and uber cool on the inside. 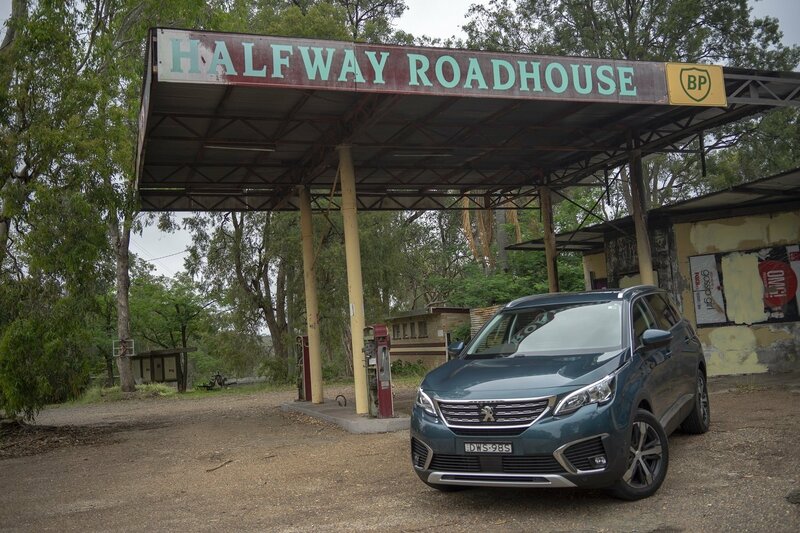 Hot on the heels of the cool and funky similarly mid-sized 5-seat 3008, the GT variant of which we drove at the start of 2018, Peugeot released a bigger option, the 5008, so we decided to take the 2019 version for a spin. There is space everywhere in the attractive 7-seater, and once you get your mind over that, you face the incredibly impressive dashboard and console. It’s not your ordinary dash, embracing functional but stylised design and a hint of serious cool. You’ve got this incredible exposed compartment under the organic metal switches, nice soft leather around the steering wheel, which is oval-esque in shape with a flat top and bottom – almost like a race car steering wheel. There’s a groovy digital instrument cluster, and at night, the comfort lighting does its thing, emitting a soft blue light around the front doors and throughout the dash; an experience that is actually quite soothing. What’s equally impressive is the price, at $48,721 drive away for the 121kW 1.6-litre turbo charged and petrol powered Allure, which pushes out 240Nm of torque, and features a host of awesome technology and safety bits. But where do we start to tell you all about them. Let’s see, there’s a configurable 12.3-inch digital instrument panel, that compact multi-function steering wheel we already told you about, and an 8.0-inch touchscreen infotainment system. 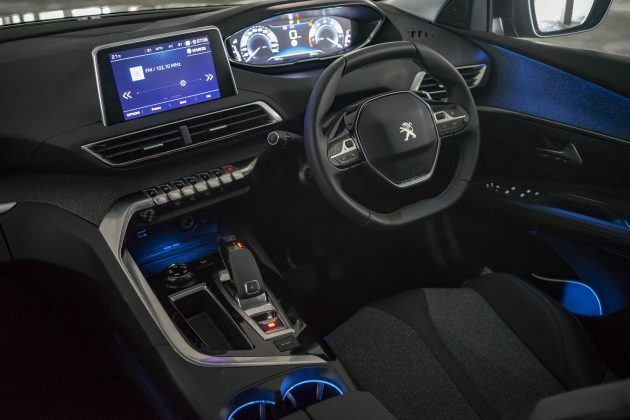 The 5008 comes with Peugeot iCockpit, 3D SatNav, mirror screen phone connectivity (which gives you Apple CarPlay and Android Auto, as well as MirrorLink) and a wireless smartphone charging panel. Add in LED lighting, active blind spot detection, an active safety brake that includes pedestrian detection, active lane keep assist and advanced driver attention alert, and adaptive cruise control. We’re not sure we’ve said active enough yet so we’ll tell you there’s also speed limit sign recognition and PEUGEOT Smartbeam assistance. There’s also a 180-degree reversing camera, enhanced park assist and a hands-free electric tailgate. 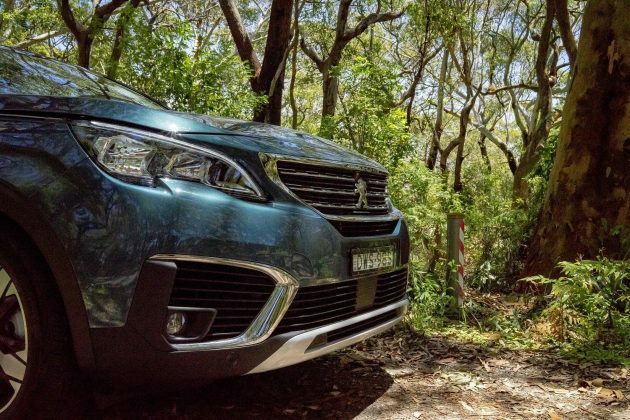 Fire up the 5008 Allure, with its six speed automatic transmission, and you’ll be stunned by just how responsive the front wheel drive SUV is. It’s a comfy ride too, with cloth and leather seats across all three rows. Switch to sport mode and throw some corners at the French car maker’s largest SUV and you’ll find yourself grinning the whole way to your destination, and with the paddle shifters on the steering column and that steering wheel, you’ll feel a little racer. 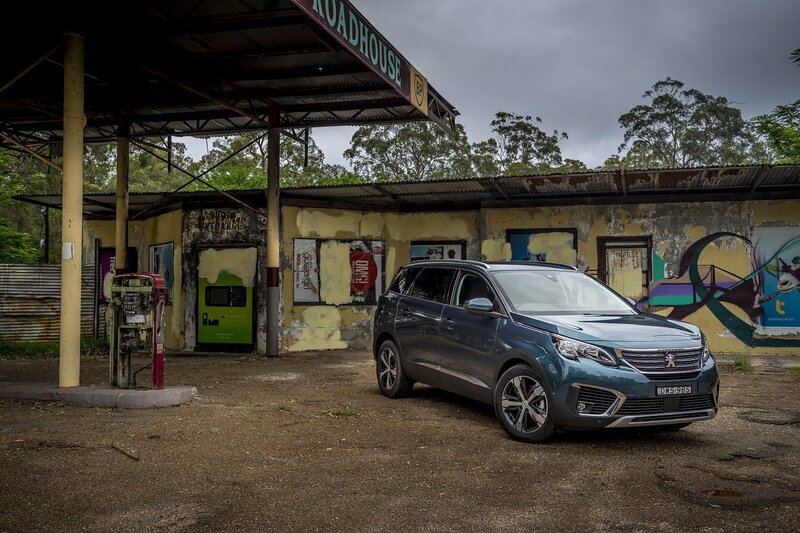 If you like to cruise instead you’ll enjoy the fact you can squeeze 800km out of the 56-litre fuel tank, or more if you’re super frugal, with an average fuel economy of 7.0-litres/100km in our testing. On the downside, if you need all seven seats you’ll find yourself with virtually no boot space and room back there in the third row is suited for tween kids at best. But for us the biggest killer is the lack of an AWD option, with only FWD on offer. It come in a total of eight colours, including Bianca White, Pearlescent White, Artense Grey, Amazonite Grey, Gust Blue, Emerald Green, Perla Nera Black and Platinum Grey. Depending on the variant you choose, there is also a choice of alloy wheels. Our test vehicle was provided by Peugeot Australia. To find out more about the 2019 Peugeot 5008 Allure, contact your local Peugeot dealer. Pictures courtesy of Cameron Cooke Photography. Pros - incredible dash and instrument cluster; virtually no road noise; super comfy front seats. Cons - limited boot space in 7-seater mode; poor leg and head room in third row; missing AWD.